Could Meditation Be the Secret to Greater Physical Fitness? What if there was something you could do— anytime of the day and absolutely free of charge— that could totally transform your fitness journey? Of course, you’ll still need to commit to a regimen of exercising and eating clean, but there’s something else you can do that basically intensifies your efforts: meditation. By now you’ve probably learned that good health and wellness depend on a variety of factors, including mental and emotional well-being. 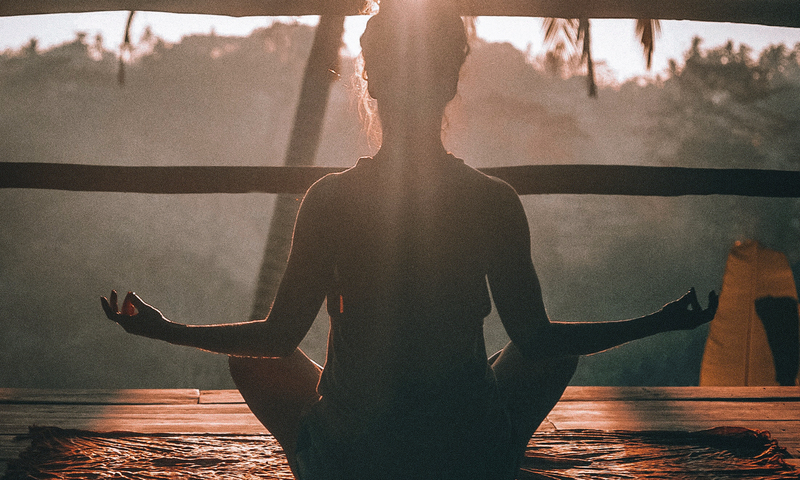 A regular meditation practice can promote greater mental strength and fortitude to help you power through your workouts, beat stress, and even prevent you from binging on off-plan foods. Regardless if your workout of choice is running, swimming, lifting, or yoga, meditation can help you power through. According to Bob Roth of the David Lynch Foundation, “mental stress undermines physical performance.” You probably know this all too well— worrying about how you’ll pay a bill or ruminating over a fight with your partner can seriously throw off your game. Since it promotes mindfulness, meditation can help you quell stress and anxiety, avoid distracting thoughts, and give your workout all of your energy and attention. Regular meditation not only improves your resilience to stress and boost performance during your workout. Yuri Elkaim recommends scheduling your mindfulness session post-workout, specifically because the practice can help manage your cortisol levels, reduce pain, and speed up recovery. If you’re new to meditation, it can seem intimidating. To begin, simply sit somewhere comfortably and quietly for a designated period of time— say 5 to 10 minutes. Focus your attention fully on your breath. If your mind wanders, re-focus on your breath. Don’t judge yourself for being distracted or worry so much about how it looks or feels. Just concentrate on your breath until the timer sounds. Over time, it will feel more natural and you’ll notice your attention wandering less. You can also increase the duration of your practice as you develop the skill. To learn more about how a regular meditation practice can amp up your fitness routine, talk to a certified personal trainer, particularly one who has knowledge or experience in meditation.